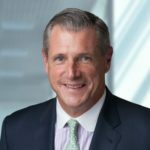 NEW YORK, NY, February 4, 2018 – National Holdings Corporation (NASDAQ: NHLD) (“National” or the “Company”), a leading full service independent brokerage, investment banking, trading and asset management firm providing diverse services including tax preparation, today announced the addition of Arthur (“Art”) R. Hogan, III to National as Managing Director, Chief Market Strategist. Mr. Hogan joins National with over three decades of financial market experience, primarily focused on the US equity markets. Mr. Arthur Rush Hogan, III, joins National as Managing Director, Chief Market Strategist after serving as Director of Research and Chief Market Strategist for B. Riley FBR, Inc., Research Division. 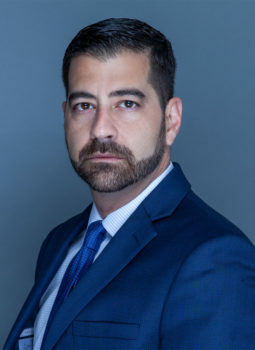 Prior to this, he served as the Director of Equity Research since April 2015 and a Chief Market Strategist since March 2014 at Wunderlich Securities Inc., Research Division. Prior to this Mr. Hogan held a variety of senior roles at major investment firms including Lazard Capital Markets, Jefferies LLC, Dean Witter and Morgan Stanley. Mr. Hogan began his career as a Floor Broker at the Boston Stock Exchange. His financial industry career spans 30 years during which he has concentrated on the United States equity markets. Mr. Hogan previously served as a member of the Board of Governors of Boston Stock Exchange, Inc., and a member of the Board of Directors of NASDAQ OMX BX, Inc. Mr. Hogan frequently appears in live interviews on CNBC, FOX Business and Bloomberg TV and is quoted regularly in The Wall Street Journal, The New York Times, Financial Times, Yahoo Finance and many other outlets across the globe. National Holdings Corporation (NHLD) is a full-service investment banking and asset management firm that, through its affiliates, provides a range of services, including independent retail brokerage and advisory services, investment banking, institutional sales and trading, equity research, financial planning, market making, tax preparation, insurance, to corporations, institutions, high net-worth and retail investors. With over 1000 advisors, registered reps, traders, sales associates and corporate staff, National Holdings operates through various subsidiaries including National Securities Corporation, National Asset Management, Inc., National Insurance Corporation, National Tax and Financial Services Inc. (Gilman Ciocia, Inc.) and GC Capital Corporation. Formed as a holding company in 1996, National Holdings’ largest subsidiary National Securities Corporation has been in business since 1947. National Holdings is headquartered in New York and Florida. For more information, visit www.yournational.com.